After lunch we like to eat sweet in the winter. It is best that you eat jaggery. Jaggery is good for digestion as well as beneficial in periods pain. Today we tell you about the benefits of jaggery. You can stay healthy by eating jaggery in the winter. 1. Maintains digestion system: Jaggery clears the blood and cleans the metabolism. Consumption of jaggery with one glass of water or milk gives cooling to the stomach. You do not have gas problem. People who have gas trouble they should eat little jaggery after lunch or dinner. 2. Periods Pain: Women who have pain during periods jaggery is quite beneficial for them. Jaggery keeps your digestion system good. Therefore, eat jaggery during periods. This will reduce the pain. 3. Source of Iron: Jaggery is the main source of iron. So it is very beneficial for patients with anemia. The intake is very important especially for women. 4. Skin: Jaggery removes bad toxins from the blood and skin becomes fabulous and there is no problem of acne. 5. Cold-cough: Jaggery is hot so its intake gives relief in cold and cough. 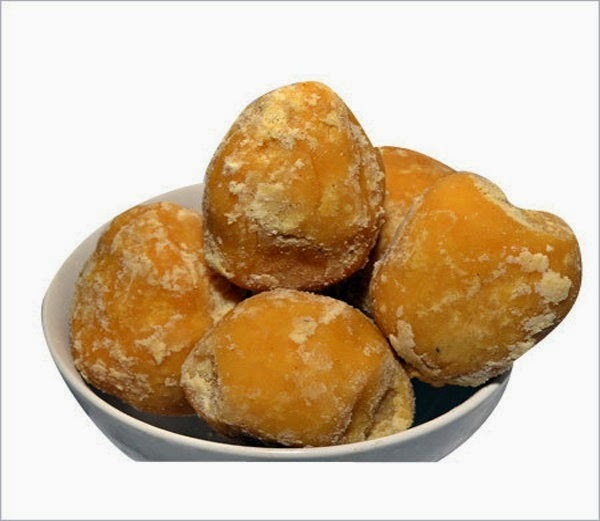 If you do not want to eat raw jaggery during cold then you can eat in tea or laddoo. 6. For Energy: Stress and weakness decrease and energy level increases by taking jaggery. Jaggery digested quickly so sugar level does not increase. After a day’s work when you are tired immediately eat jaggery. 7. Body temperature: Jaggery controls the temperature of the body. It has anti-allergic ingredients so it is quite beneficial for asthma patients. 8. Relief in joint pain: Take a piece of ginger with jaggery. It will not have a problem of arthritis in the winter. 9. Throat and voice problem can be solved by eating jaggery with cooked rice. 10. Asthma problem does not occur by eating jaggery and black sesame. 11. If cold is frozen then melt the jaggery and feed its crust. 12. Ear pain removes by eating jaggery and ghee. 13. Gas does not occur by eating jaggery after lunch/dinner. 14. Take 5 grams Saunth and 10 grams jaggery during jaundice. You will get relief. 15. Memory increase by eating jaggery halva. 16. Take 5 grams jaggery and mustard oil and eat it. You will get relief in respiratory disease. 17. Mixed jaggery in millet porridge and eat it. Your vision increases. 18. Sour burp can be removed by taking jaggery and rock salt.